Dr. Colleen Wilson-Hodge has 28 years of experience working in gamma-ray astronomy at NASA. 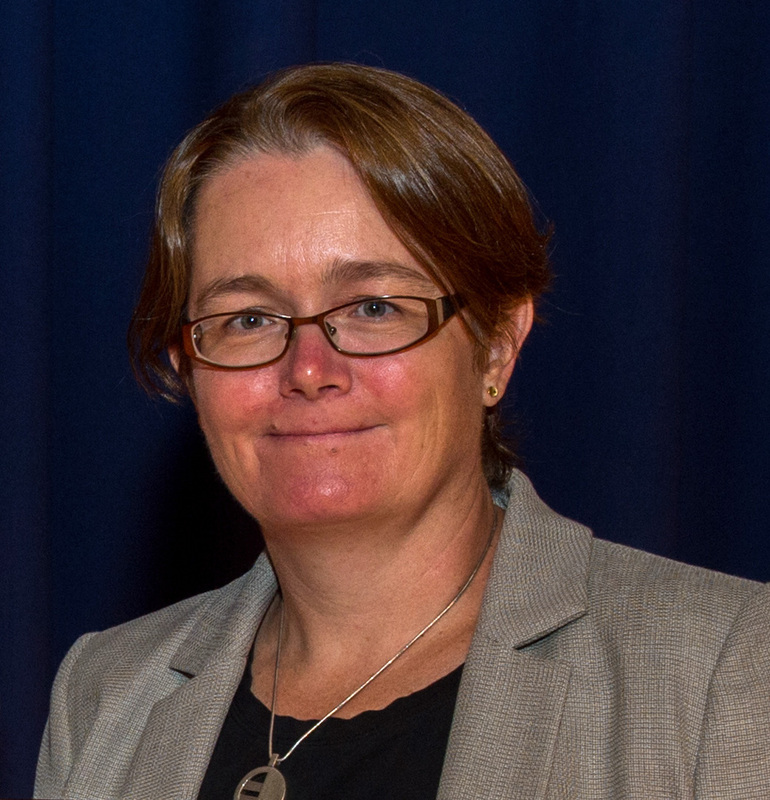 She is currently Principal Investigator of the Fermi Gamma-ray Burst Monitor (GBM). Her early work focused on timing and spectral properties of accreting pulsars and X-ray transients with BATSE, Chandra, INTEGRAL, Suzaku, RXTE, and continues with Fermi GBM data. This work included the discovery of the black hole transient GRO J1655-40 and the accreting pulsar GRO J2058+42 with BATSE, and extensive studies of the accreting pulsar EXO 2030+375. More recently, especially since she became PI of GBM, her focus has changed, along with the majority of her team, to searches for gamma-ray counterparts to gravitational wave events, following up both high confidence and sub-threshold LIGO/Virgo events. She has been a part of the Fermi GBM team since before launch. Before becoming PI, she led the GBM accreting pulsar and GBM Earth occultation teams, with whom she discovered the 7% decline from 2008-2010 in the Crab Nebula hard X-ray flux and continues that work to look for both hard X-ray variability and gamma-ray flares from the Crab in Compton Gamma-ray Observatory data. She also observed the Crab with the HEROES balloon payload where she gained valuable hardware and project scientist experience. Her X-ray timing work continues as a science team member for the Neutron star Interior Composition ExploreR (NICER) and a co-investigator on the awarded NASA Astrophysics Probe Mission Concept Study for the Spectroscopic Time-Resolved Observatory for Broadband Energy X-rays (STROBE-X). Dr. Wilson-Hodge has been lead author or co-author on more than 125 refereed publications, numerous conference proceedings, and has led more than 25 successful X-ray observing and/or data analysis proposals. Stephen Elrod graduated from the University of Alabama in Huntsville (UAH), in 1980, (BSE, General Engineering). He was employed by NASA upon graduation (May 1980), after having already worked for three years as a NASA co-operative education student. He volunteered for military service and was commissioned into the Navy Reserve, April 1982, as an officer in the Civil Engineer Corps. 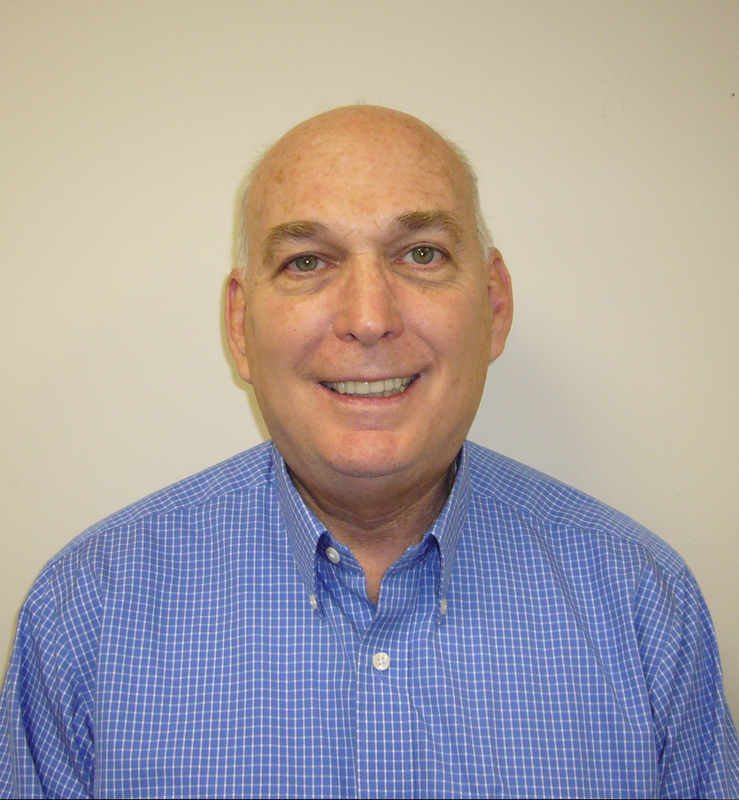 He has served for over 40 years as a civil servant, with experience in 7 different project offices, for both NASA and US Army MICOM. From 1995-1999 he was the Project Manager (PM) for the IMAGE Mission, Wide Image Camera (WIC/partnered with Canada), and from 2000-2009 he was the PM for the Fermi (aka GLAST) Gamma Ray Burst Monitor (GBM/partnered with Germany). Both of these projects have been recognized as highly successful science instruments. Steve returned to manage GBM in the summer of 2011 and continues to serve GBM as the overall PM of the extended mission operations phase. In February of 2015, concurrent with his GBM duties, Steve was named to serve as the PM for the suite of instruments aboard the Hinode spacecraft. This solar observation mission is another international partnership (with Japan) and is also in the extended mission operations phase. In his military career, Steve was assigned to the Office of the Secretary of Defense (OSD), serving as the Director of the Joint Reserve Support Team for Undersecretary of Defense, Personnel and Readiness, Military Personnel Policy (2002- 2011). 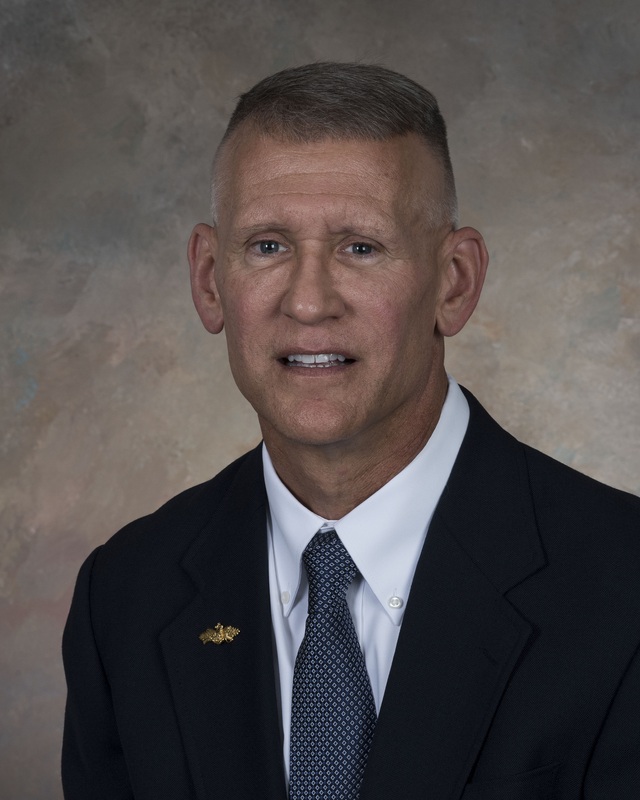 He concurrently served for several years as the Commanding Officer of the USN reserve unit that supported the Pentagon at large, with 42 members assigned to a wide variety of Joint Staff, OSD and senior Navy offices. Steve retired from the USN in May 2012, with the permanent rank of Captain, after having served for 30 years. He is the recipient of various civil service and military awards, to include the NASA Exceptional Service Medal and the DoD Defense Superior Service Medal. The primary research interests of Dr. Michael S. Briggs are Gamma-Ray Bursts (GRBs) and Terrestrial Gamma-ray Flashes (TGFs). He has worked on GRBs since arriving in Huntsville, Alabama in 1991 soon after the launch of the Burst and Transient Source Experiment (BATSE) on the Compton Gamma-Ray Observatory (CGRO). With BATSE Dr. Briggs studied GRB spectra and spatial distributions and also bursting galactic sources. After the end of the Compton Observatory mission he helped develop the Fermi Gamma-Ray Burst Monitor (GBM), leading the development of the flight software and participating in integration and testing. Since the launch of Fermi in 2008 he has used Fermi to research GRBs, solar flares and Terrestrial Gamma-ray Flashes (TGFs). TGFs are very brief flashes of gamma-rays emitted during thunderstorms. Using Fermi GBM data, Dr. Briggs showed that TGFs emit positrons (anti-matter electrons) into space. In 2015 he became the Deputy Principal Investigator of GBM. 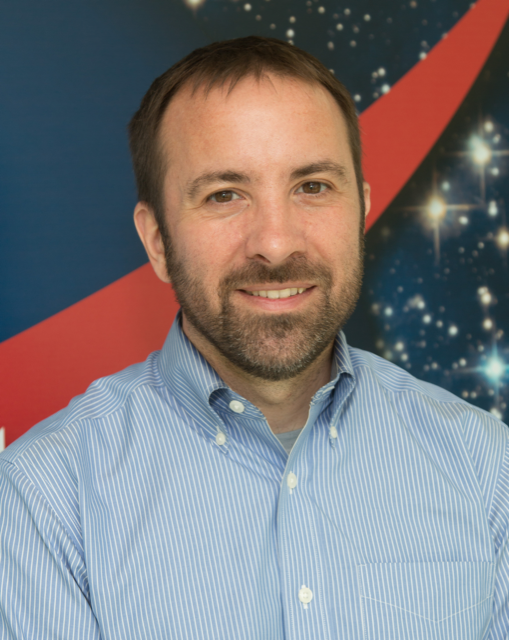 Dr. Briggs is Principal Investigator of the NSF-funded Terrestrial RaYs Analysis and Detection (TRYAD) mission, which is designed to measure the beam profiles and tilts of TGFs using a pair of CubeSats separated by several hundred kilometers in low Earth orbit. CubeSats are a type of nano-satellite designed for fast and low-cost access to space. The University of Alabama in Huntsville (UAH) is responsible for the gamma-ray detectors and science results, while Auburn University will develop the CubeSats and conduct mission operations. There will be extensive student contributions to the TRYAD project at both UAH and Auburn. Dr. Briggs is also participating in several international teams working towards future experiments, including the Cerenkov Telescope Array (CTA), a next-generation ground-based gamma-ray instrument, and the proposed JEM-EUSO instrument to observe high-energy cosmic rays from the International Space Station. Dr. Briggs has worked for UAH since 1991, first as a NASA Compton GRO Fellow, and currently as a Principal Research Scientist and as Assistant Director of the Center for Space Plasma and Aeronomic Research. He is also an Adjunct Professor of the Department of Space Science. He graduated with a A.B. degree from Princeton University in 1982 and received a Ph.D. from the University of California, San Diego in 1991. Dr. Briggs was selected as the 2015 UAH Researcher of the Year. Dr. Narayana Bhat was born in India and did his undergraduate degree at the Mysore University (Physics and Mathematics). After completing a year in the Training School at the Bhabha Atomic Research Centre in Mumbai he joined the Tata Institute of Fundamental Research in Mumbai. His Ph.D. focused on the study of low energy muons underground and the search for massive unstable particles in cosmic rays using experiments in the Kolar Gold Fields where the first cosmic ray neutrino was detected. After completing his PhD from the then University of Bombay his post-doctoral work was carried out at the University of Durham (UK) during 1979-82 where he participated in the Gamma-ray line Astronomy studies using balloon borne shielded HPGe detectors. He continued his work at the Tata Institute on Very High Energy Gamma-ray Astronomy using ground based atmospheric Cerenkov technique at the High Altitude Cosmic Ray Laboratory at Ootacamund. Here he also worked on High Energy Cosmic Ray Physics experiments like the search for Tachyons in cosmic rays, search for GeV energy Gamma-rays from GRBs, search for Gamma-rays from the exploding primordial black holes etc. In 1985, he developed the first instrumentation for using the Charge Coupled Devices (CCD) in Optical Astronomy in India. He also worked on Galaxy Photometry using the 2.2m Vainu Bappu Telescope. He joined the BATSE team in 1991 at the George Marshall Space Flight Center in Huntsville as a NASA Senior NRC Fellow where he worked until 1993. After returning to Tata Institute he started a Very High Energy Gamma-ray Astronomy Observatory (HEGRO) at Pachmarhi (Central India) where the wavefront sampling technique was developed. He was responsible for developing a new advanced CAMAC based fast digital data recording system. He was also responsible for the new Very High Energy Gamma-ray Astronomy Observatory (HAGAR) at Hanle at an altitude of 14,500' on the foothills of Himalayas. After taking voluntary retirement from the Tata Institute where he was a Senior Professor, he joined the GLAST Burst Monitor Team in 2003. His main research interests are High Energy Astronomy and Astrophysics, data analysis, detector development, and instrumentation. 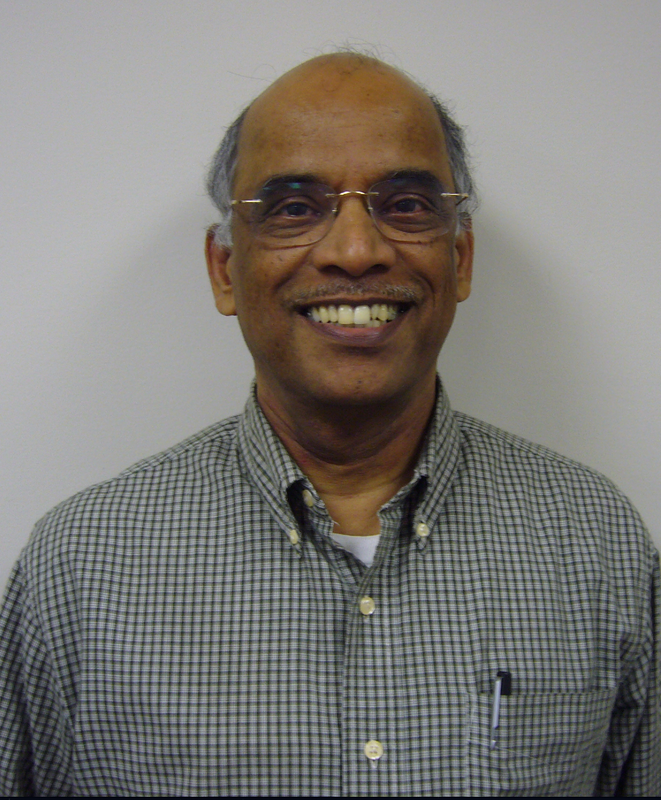 Dr. Bhat is also an Affiliate Member of the Graduate Faculty of the Unversity of Alabama in Huntsville. Eric Burns graduated from Michigan State University with a B.S. in Physics in 2008. While there he worked for the National Superconducting Cyclotron Laboratory in Nuclear Electronics and Astrophysics as well as for the High Energy Physics group on statistical analysis of Tevatron and Large Hadron Collider data. Dr. Burns did his Ph.D. work at the University of Alabama in Huntsville, working with the GBM team. While working at UAH he compared the relative sensitivities of GBM and the Swift Burst Alert Telescope (BAT), searched for Gamma-Ray Bursts (GRBs) associated with supernova explosions, and contributed to the sub-threshold searches of GBM data. His dissertation topic was on Short GRBs and prospects for joint detections with gravitational waves. He helped developed the GBM targeted search for weaker transients in the GBM data to increase the chances of finding counterparts to LIGO/Virgo detections in the GBM data. Currently Dr. Burns is a NASA Postdoctoral Fellow at NASA/GSFC and continues to investigate short GRBs and gravitational waves. Bill Cleveland graduated from Auburn University in 2005 with a BS in Software Engineering. He started his career with USRA as an intern in 2003 and became a full-time employee upon his graduation. 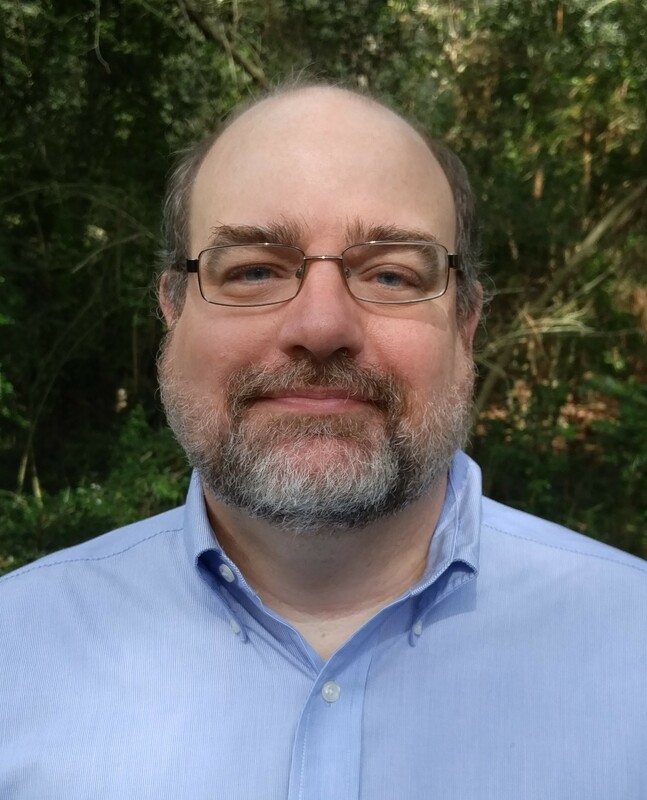 Before his employment with USRA, he worked almost 20 years in logistics where he developed software used to document cargo and vessel operations within the maritime transportation industry. Today he works as a flight system software engineer with training and experience in embedded computing systems, use of networks in spacecraft and balloon payloads, telemetry distribution, and on-ground control and analysis software. His past projects include Deep Space Test Bed (DSTB), High Energy Replicated Optics (HERO), Proto-Exist, Hurricane Imaging Radiometer (HIRAD), FastSAT, High-Energy Replicated Optics to Explore the Sun (HEROES) and the Fast Neutron Spectrometer (FNS). He joined the Gamma-ray Burst Monitor (GBM) team in 2007 where he develops and maintains the ground software used to create and manage the data products generated from the mission. Bill also designs and develops new methods for storing, distributing, and examining scientific data, and works closely with scientists and operations staff to help the mission find new objectives and further its goals. 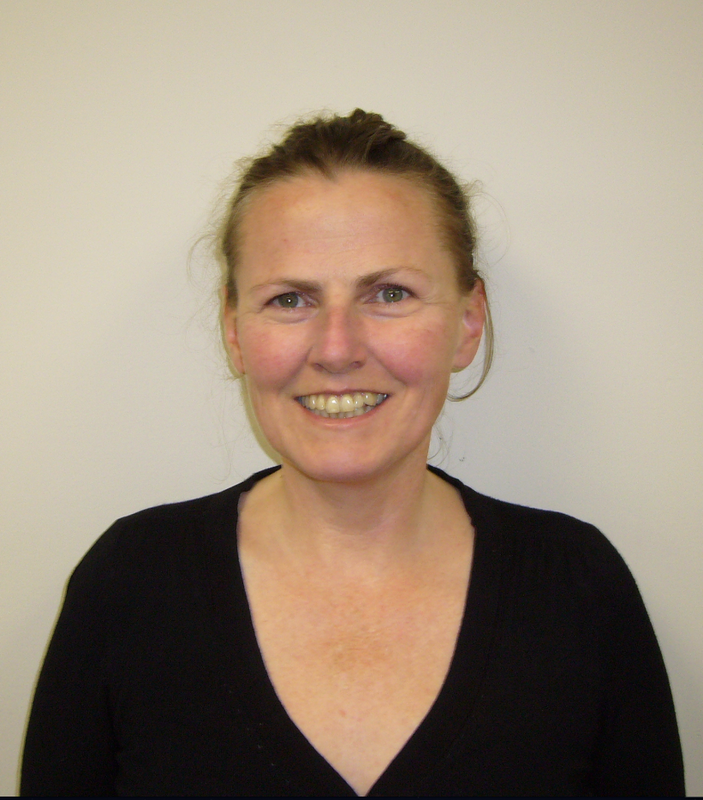 Dr. Connaughton was born in Ireland, grew up in Switzerland, and did her undergraduate degree in the UK at Bristol Univeristy (Physics, 1989). After working for a couple of years in the computer industry, she did postgraduate work at University College Dublin (UCD), with Dave Fegan and Neil Porter in the High-Energy Astrophysics group. Her Ph.D. focused on the search for high-energy emission from Gamma-Ray Bursts (GRBs) and exploding primordial black holes, as part of the Whipple Collaboration with Drs. Fegan and Trevor Weekes, who founded the Whipple Collaboration in the late 1960s. This brought her to Arizona, the site of the 10-meter Whipple Telescope. She graduated from UCD in 1996, and then began a National Research Council Postdoctoral Fellowship with the BATSE (Burst and Transient Source Experiment) team in Huntsville, AL, the site of NASA's Marshall Space Flight Center. 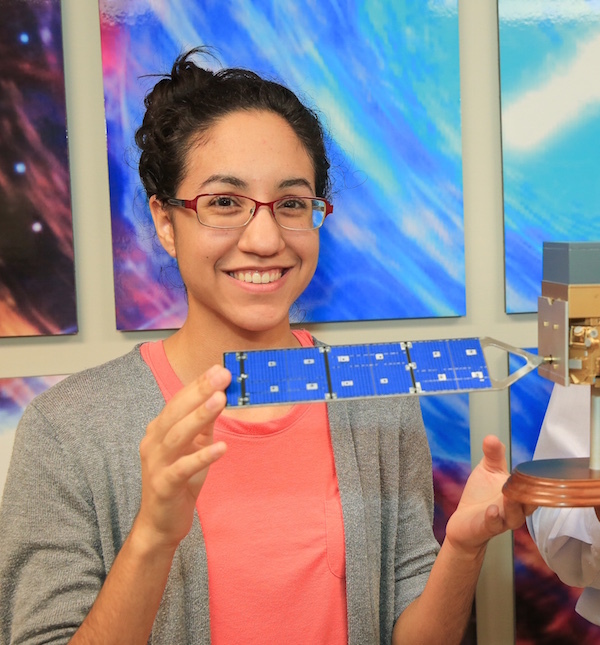 She became a research scientist at the University of Alabama in Huntsville and joined USRA in 2014, where she now works as part of the Fermi Gamma-ray Space Telescope Gamma-ray Burst Monitor (GBM) team. Her research interests include high-energy astrophysics, gamma-ray bursts, and terrestrial gamma-ray flashes (atmospheric phenomena related to lightning). 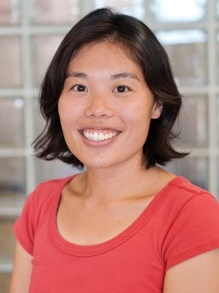 In addition to working on GBM, she is involved in next-generation ground-based gamma-ray instrumentation as part of the international Cerenkov Telescope Array (CTA) consortium, and she is a member of the proposed cosmic-ray experiment on the International Space Station, the Japanese-European-American JEM-EUSO team. Cori Fletcher was born and raised in Missouri. She completed her bachelor's degree in Physics at the University of Missouri in 2011. She then moved to Germany to complete her master’s in Astrophysics at the University of Bonn, Germany and the Max Planck Institute for Radio Astronomy. Here she studied high-mass star-formation using radio wavelengths. Following her Master’s degree she moved to Florida to continue with her Ph.D. in Space Science at Florida Intitute of Technology. For her Ph.D. she jumped to the other side of the spectrum and studied X-rays from magnetic fields in massive stars. 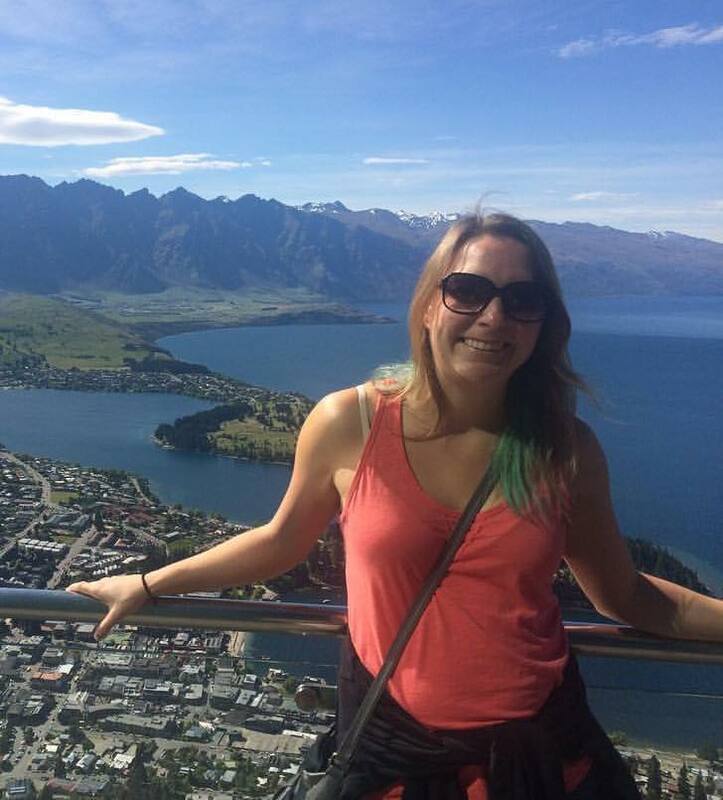 She recently joined the Fermi GBM team and is working on gamma-ray bursts. Lisa Gibby has a masters degree in mathematics from the University of Tennessee. She worked with the BATSE team for 10 years mostly as a computer scientist. She has been working on the GBM team since 2005. During the pre-launch stage of GBM, she developed tools used for mission planning and the real-time system suite of software. Post-launch, Lisa has served as the Operations Manager for the GBM instrument. Adam Goldstein was raised in a small town in southwestern Missouri. He completed a B.S. in Physics with Honors at the University of Arkansas in 2007, writing and defending an Honors Thesis on the transverse profile and polarization properties of Ince-Gaussian Lasers. Adam received a M.S. in Physics in 2010 and a Ph.D. in Physics in 2012, both from the University of Alabama in Huntsville. His doctoral research focused on utilizing the observed properties of long duration gamma-ray bursts (GRBs) to place constraints on cosmological models. In 2008, shortly after launch of the Fermi Gamma-ray Space Telescope, Adam joined the Fermi Gamma-ray Burst Monitor (GBM) team as a graduate research assistant, and he has continued as a member of GBM after graduation, first as a NASA Postdoctoral Fellow and now as a research scientist with USRA. 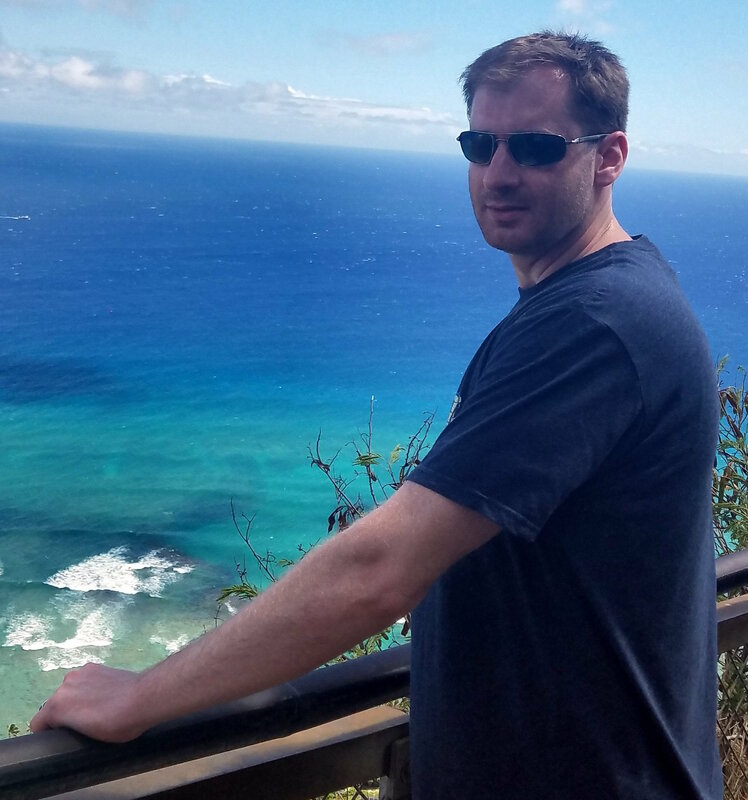 Adam has contributed to GBM daily operations and improvement of science operations, including implementing an improved near-realtime automated localization of GRB triggers and maintaining and updating the science tools used by GBM to analyze GRBs and other triggers. In addition to helping improve the GBM science deliverables to the public, Adam is also a key member in the GBM effort to search for GRBs coincident with gravitational-wave signals detected by LIGO and Virgo. He is a primary contributor to an offline targeted sub-threshold search for GRBs coincident with multi-messenger events and also contributes to the GBM blind search for sub-threshold short GRBs. Adam localized on the sky the first GRB to be jointly detected in gravitational waves by LIGO, providing the first confirming evidence that the two detections were associated. He led the GBM Team publication on the detection and analysis of this gamma-ray burst, GRB 170817A. Although he is in enemy territory in Alabama, Adam is still a devout Arkansas Razorback fan. Rachel Hamburg graduated from the University of Arkansas in 2016 with a B.S. in Physics. She is currently pursuing a Ph.D. in Space Science at the University of Alabama in Huntsville. 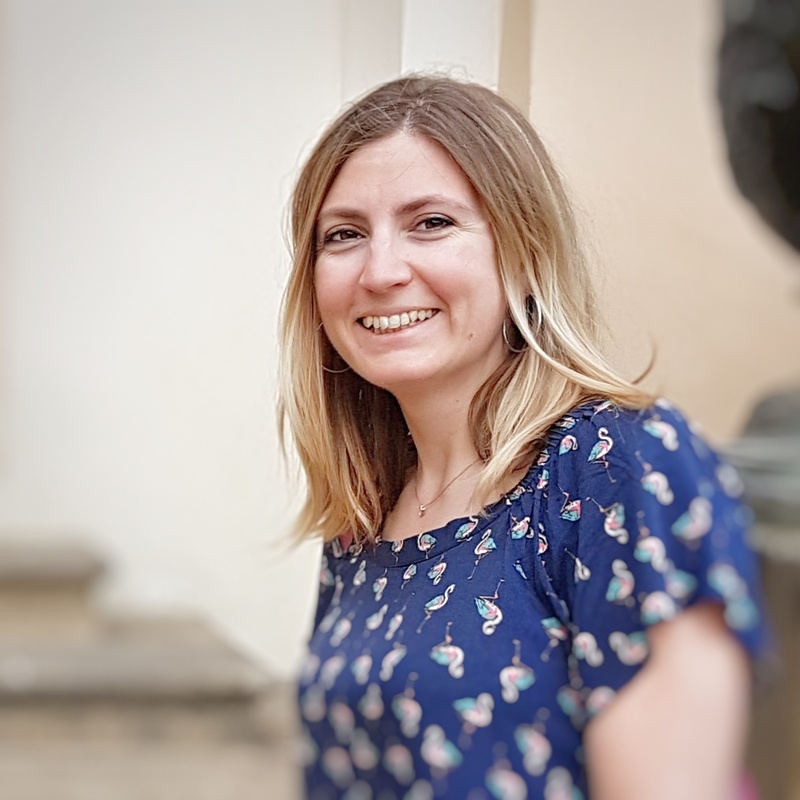 Working as a graduate research assistant for GBM, Rachel's research interests include the physics of gamma-ray bursts and hunting for GBM detections coincident with gravitational waves and neutrinos. Dr. Michelle Hui received a B.S.E in Engineering Physics with a focus on Aerospace in 2005 from Case Western Reserve University. Her interest in high energy astrophysics started as an undergraduate research assistant when she tested timing equipment for the Pierre Auger Observatory. In 2011, she received her Ph.D. from University of Utah studying very high energy gamma-ray emission in radio galaxies. She worked with the Very Energetic Radiation Imaging Telescope Array System (VERITAS) and studied the possible correlation of gamma-ray flares in the radio galaxy M87 with X-ray and radio flares. She was a postdoc at Michigan Technological University from 2012 to 2015 working on the High Altitude Water Cherenkov (HAWC) Observatory. She led the commissioning of the calibration system and co-authored the first HAWC paper on Galactic astrophysics searching for previously undiscovered TeV gamma-ray sources. She also serves as the multi-wavelength/multi-messenger coordinator for the HAWC collaboration. Dr. Hui joined the Fermi GBM team in Nov 2015. Her research interests include pulsars and pulsar wind nebulae, unidentified gamma-ray sources, transients, data analysis development, and instrumentation. 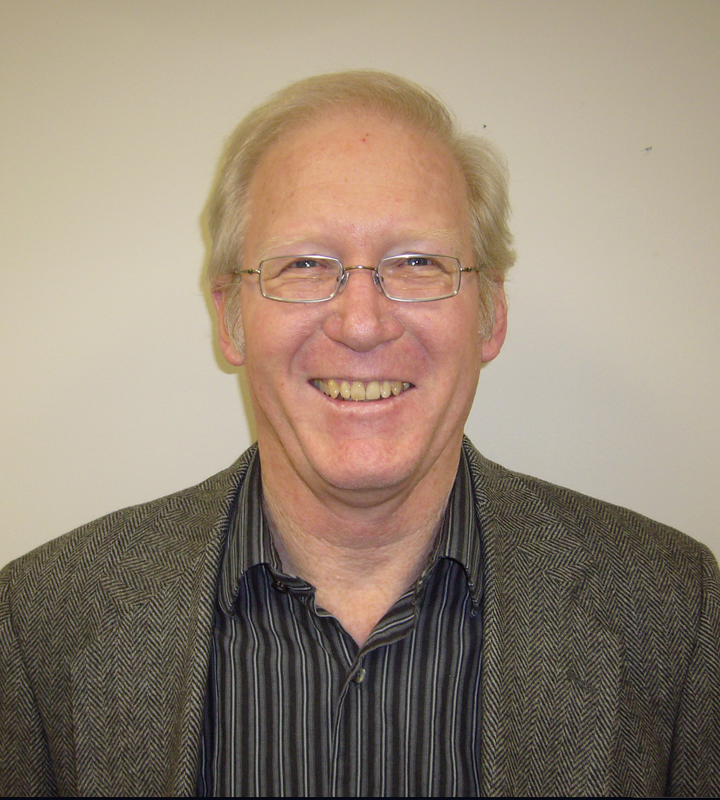 Dr. Peter Jenke's primary research interests are in hard X-ray/gamma-ray astronomy and detector hardware development. 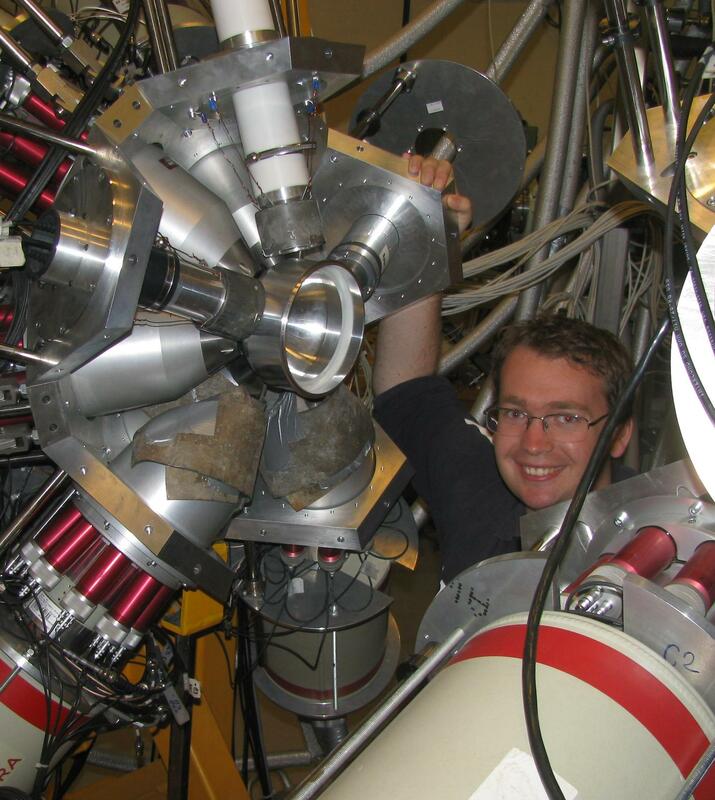 His work focuses on timing and spectral properties of X-ray transients with Maxi /ASM, Swift /BAT and primarily Fermi /GBM data. 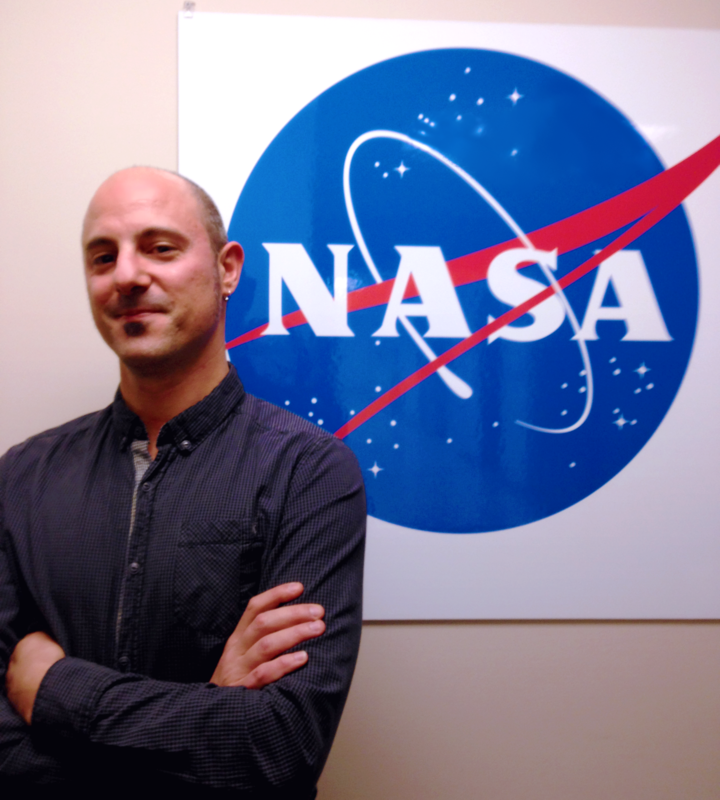 He started his career in 2009 as a NASA Postdoctoral Fellow at Marshal Space Flight Center working with Earth occultation measurements of Galactic hard X-ray sources using GBM data. Currently he is a Research Associate at the University of Alabama in Huntsville and a member of the graduate faculty. Dr. Peter Jenke is a Co-PI on a NSF-funded mission (TRYAD) to build a pair of CubeSats for the purpose of measuring the beam profile of terrestrial gamma-ray flashes (TGFs). TGFs are short intense beams of gamma-rays associated with thunderstorms and lightening that were first discovered with BATSE data. Although they have been observed by several space based instruments including GBM, the origin of these TGFs is still unclear. It is expected that measuring the beam profile, by sampling the beam in multiple locations with two CubeSats, will make a significant scientific impact in this field. Dr. Jenke is responsible for the oversight of the detector development for this project. I started my work in the field of high-energy astrophysics 1998 in the high-energy group at the Max-Planck-Institut for Extraterrestrial Physics (MPE). As a Co-I of two instruments, the Spectrometer SPI onboard ESA's INTEGRAL mission and NASA's Fermi mission Gamma-Ray Burst Monitor (GBM), I was involved in the project work for hardware design and development, instrument testing, calibration and commissioning after launch. My current main science areas are the research on prompt gamma-ray emission from GRBs and the bursting emission of Soft Gamma Repeaters as observed by Fermi/GBM (&LAT). Within this activity I am involved in the generation of the second GBM GRB catalogue and in the GBM Magnetar key project. Dan Kocevski received his BS degree from the University of Michigan in 1999 and his Ph.D. degree from Rice University in 2006. He was a Postdoctoral Fellow at the University of California, Berkeley from 2005-2008 and then at Stanford Universtiy from 2008-2012. In 2012 he became a research scientist at NASA Goddard Space Flight Center before moving to NASA Marshall Space Flight Center in 2016. 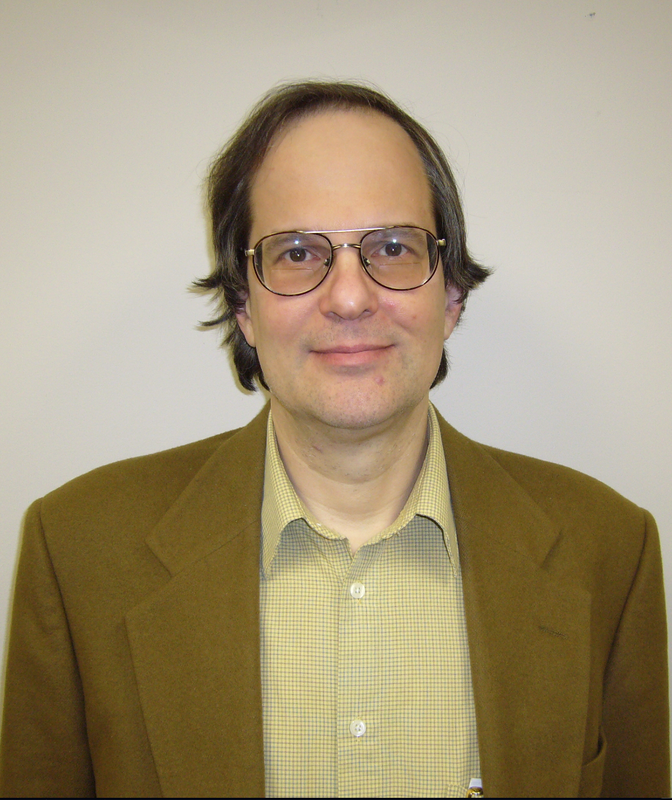 Dr. Kocevski's research has most recently focused on the time-domain multi-messenger astronomy. His research has addressed question regarding the nature of gamma-ray bursts, their host galaxies, and what they can tell us about the enviroment of the early Universe. His work also includes the search for electromagnetic emission associated with neutrino and gravitational wave detections. 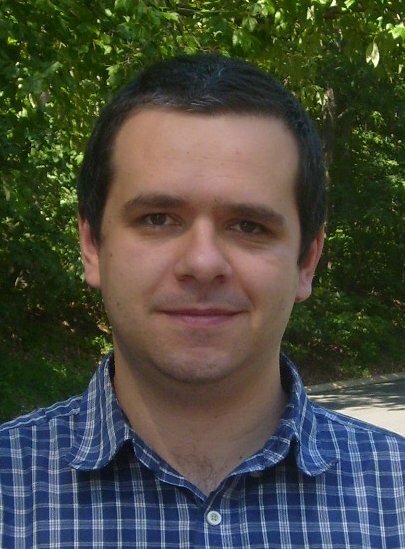 Dr. Kocevski has taken the lead in modernizing the online access of data products within the Fermi collaboration in support of research and education in both the astrophysics community and the general public. Dr. Tyson Littenberg earned his BS in physics from the State University of New York at Oswego in 2003, followed by his Ph.D. in 2009 from Montana State University. From 2009-2012 he was a postdoctoral researcher at NASA Goddard Space Flight Center and the University of Maryland, and from 2012-2015 at the Center for Interdisciplinary Exploration and Research in Astrophysics (CIERA) at Northwestern University. 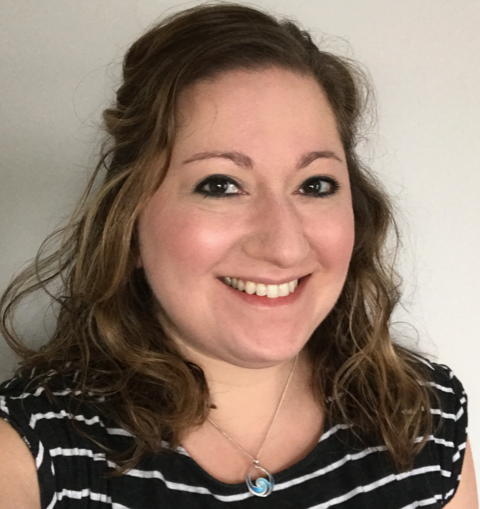 After research scientist positions at the University of Alabama in Huntsville, and USRA, Dr. Littenberg joined the Fermi-GBM team in 2016 as an astrophysicist at NASA Marshall Space Flight Center. Dr. Littenberg's broad research area is in gravitational wave astronomy and astrophysics. His focus is on development and deployment of data science solutions for detection, characterization, and interpretation of gravitational wave observations from the ground with the Laser Interferometer Gravitational-wave Observatory (LIGO) and in space via the Laser Interferometer Space Antenna (LISA). 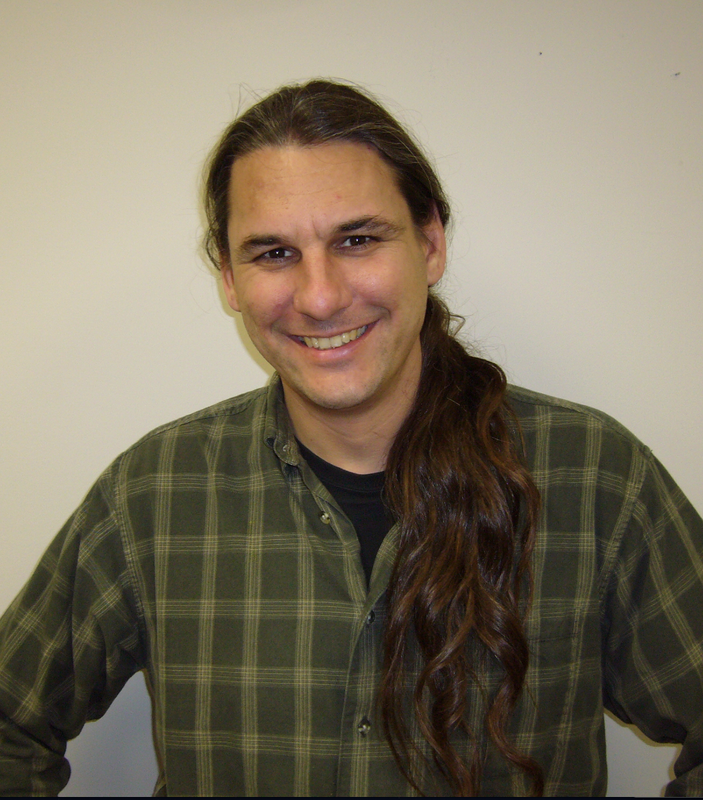 He is the PI of MSFC's LIGO Scientific Collaboration group, participating in the detection and characterization of astrophysical transients, joint analyses with Fermi-GBM observations, and Education & Public Outreach. Dr. Littenberg is also the PI of MSFCs LISA Consortium group, studying the science capabilities of the LISA mission with a particular focus on real-time analysis of LISA data, communicating low-latency data products with the wider scientific community, and using LISA to survey the galactic population of ultra-compact binaries. Bagrat Mailyan was born in Armenia. He completed bachelors (2006) and masters (2008) degrees in physics at Yerevan State University. His research activities started in 2005 at Cosmic Ray Division of Yerevan Physics Institute, where he was analyzing the data of muon telescopes and neutron monitors. At the same institute Bagrat did his PhD in 2011 under the supervision of Prof. Ashot Chilingarian. His thesis work was focused on the investigation of thunderstorm-correlated particle fluxes measured by ground-based particle detectors. During 2008-2012 he spent about six months at high altitude Cosmic Ray Laboratory on Mount Aragats for monitoring detector operations. He worked as a postdoctoral researcher at Yerevan Physics Institute (2011-2013) and Shandong University in China (2013-2015). 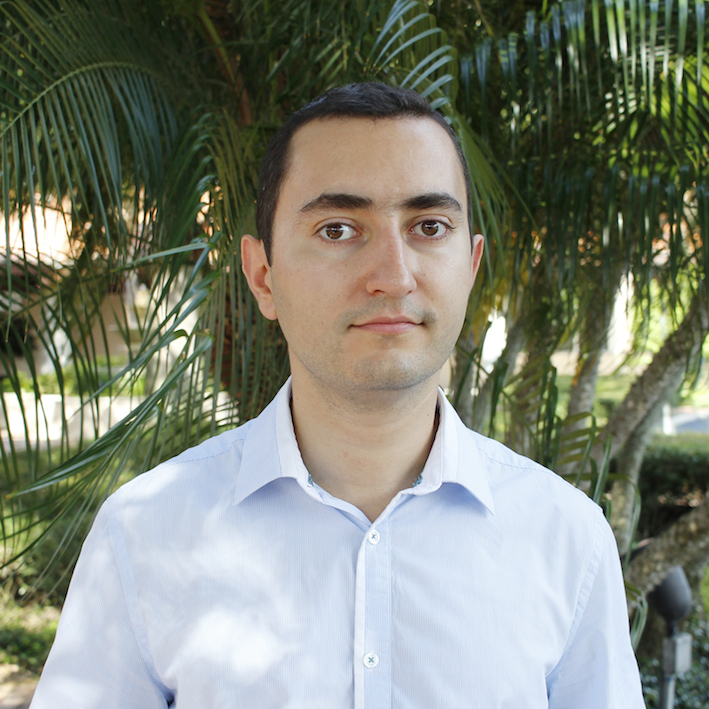 Bagrat Mailyan joined Fermi GBM team in March 2015 to work with Dr. Michael Briggs in Huntsville Alabama in USA for studying Terrestrial Gamma-ray Flashes (TGFs) – bursts of gamma-rays observed in correlation with thunderstorms. Christian Malacaria, Italian, graduated in Rome with a Bachelor in Physics & Astrophysics, and a Master in Astronomy & Astrophysics. His main research focus is the High Energy Astrophysics. His Master's Thesis work helped to constrain synthesis models of Cosmic X-ray Background from high-redshift Active Galactic Nuclei. 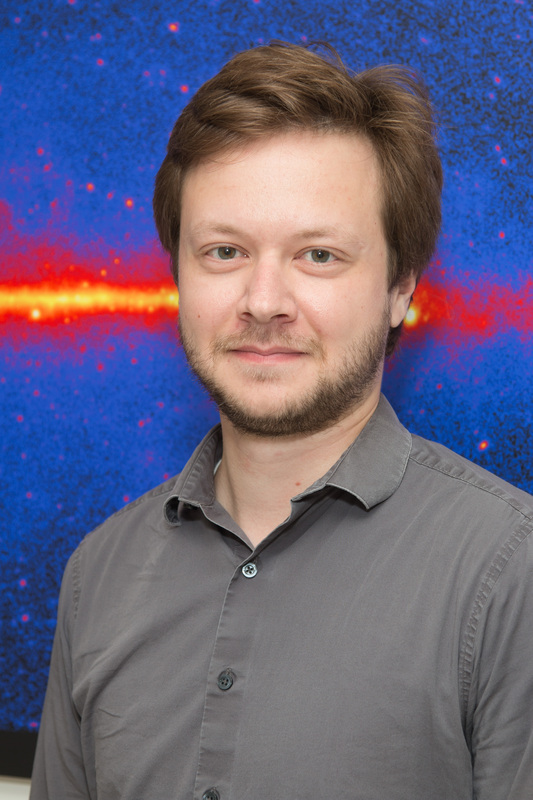 He pursued his Ph.D. at the Institute for Astronomy and Astrophysics of Tübingen (IAAT, Germany) in collaboration with the MAXI team at RIKEN (Japan).His Ph.D. thesis characterized two important accreting pulsars, performing high-precision timing and spectral analysis and developing a new approach to the study of persistent systems. Since the doctorate, his works mainly explore the spectral and timing behavior of accreting X-ray pulsars, magnetized neutron stars in binary systems that represent excellent laboratories of matter under extreme conditions, unattainable on Earth. He has expertise in data analysis of X-ray telescopes such as Chandra, XMM-Newton, INTEGRAL, MAXI, Swift, NuSTAR and now Fermi GBM and NICER. His research also includes projects to study of the optical emission from the donor companion in X-ray binaries, to link the stellar wind activity with the X-ray emission from the compact object. He is involved in such projects as the PI of observational campaigns with AAT, ESO and SALT on-ground telescopes. He is also a member of the Neutron star Interior Composition ExploreR (NICER) team, using the telescope to explore the X-ray emission from magnetars and isolated neutron stars, astrophysical objects hosting among the strongest magnetic fields in the Universe. Christian is a member of the Fermi GBM team since November 2017. Julie McEnery is the Project Scientist for the Fermi gamma-ray Space Telescope and an astrophysicist in the Astrophysics Science Division of NASA's Goddard Space Flight Center. She is an Adjunct Professor of Physics at the University of Maryland and at the George Washington University. She is co-Director of the Joint Space Science Institute between Goddard Space Flight Center and the University of Maryland. In 2011, she was elected a fellow of the American Physical Society. As Fermi Project Scientist, a role she took on in 2009, Julie provides scientific guidance and information to mission staff, working with all elements of the mission -- from instrument teams to mission operations. These efforts will maximize scientific return from the observatory. 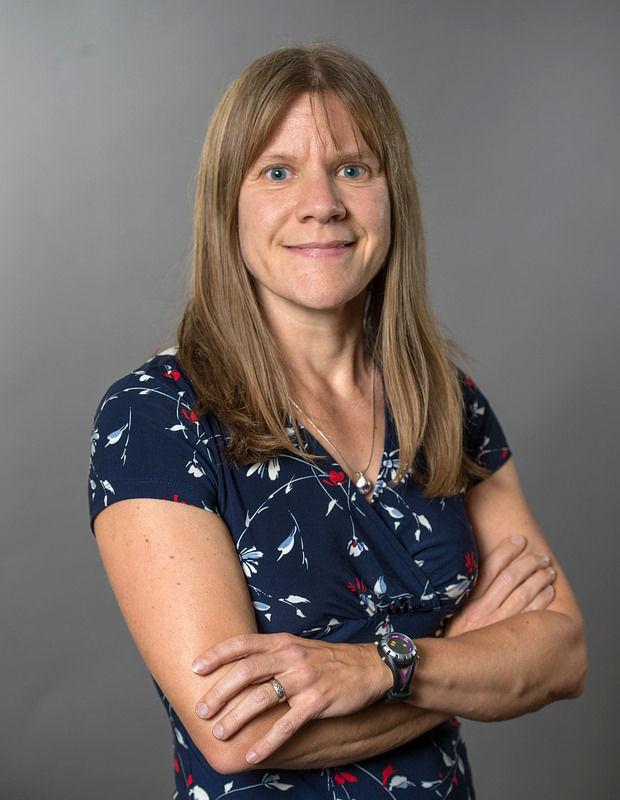 She is involved in all LAT science topics, as well as with team science activities such as low-level simulations, analysis development, and publication planning. Julie previously served as the Analysis Coordinator on the Large Area Telescope (LAT), Fermi's primary science instrument. In this role, she coordinated the science activities within the LAT instrument team. She was named one of Fermi's deputy project scientists in 2005. Julie has previously worked with ground-based gamma-ray telescopes, which detect Cherenkov radiation produced when gamma rays from deep space strike Earth's atmosphere. As a graduate student she used the Whipple Observatory to make very-high-energy observations of the active galaxy Markarian 421. She later worked with the Milagro collaboration primarily on gamma-ray burst (GRB) observations. Active galaxies and GRBs remain her main science interests, but she also explores interesting topics in other areas. In April 1990 she was an observer at the United Kingdom's Schmidt Telescope at Siding Spring, Australia. From 1993 to 1997 she was a postgraduate scholar at University College Dublin, Ireland. From 1997 to1999 she was a Postdoctoral Research Associate at the University of Utah, Salt Lake City. She was an Assistant Scientist at the University of Wisconsin, Madison, from 2000 to 2002. From 2002 to 2005 she was a Fermi research scientist at the University of Maryland, Baltimore County. She is a member of several organizations and instrument teams, including the American Physical Society, the American Astronomical Society, the Milagro Collaboration, and the VERITAS Collaboration. Julie received her BSc in Physics with Astrophysics from the University of Manchester in June 1993. In August 1997 she received her Ph.D. in Physics from University College Dublin. Dr. Charles (Chip) Meegan received a B.S. in Physics from Rensselaer Polytechnic Institute in 1966 and a Ph.D. from the University of Maryland in 1973. His thesis topic was a measurement of the cosmic-ray electron spectrum. He held a postdoctoral research position at Rice University from 1974 to 1976, performing balloon-borne observations of gamma-ray sources. From 1976 to 1978 he was an NRC Research Associate at the NASA Marshall Space Flight Center in Huntsville, Alabama. He joined NASA in 1978 as an astrophysicist in the Space Science Department at MSFC, specializing in observations of gamma-ray bursts (GRBs). Meegan was a co-investigator on the Burst and Transient Source Experiment (BATSE), which made pioneering observations of GRBs. He also served as Assistant Project Scientist for the Hubble Space Telescope (1982-1984), and Mission Scientist for the Astro-2 Ultraviolet Astronomy Shuttle Mission (1991-1996). 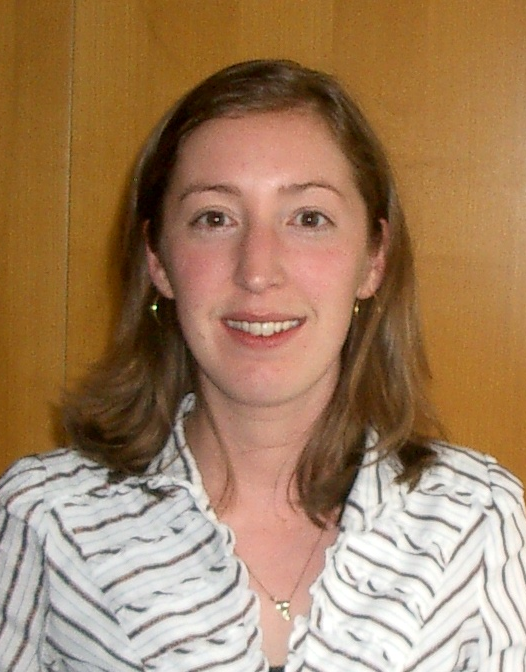 Meegan was Principal Investigator of the Fermi Gamma-Ray Burst Monitor (GBM) from 2000 to 2009. Awards he has received include the NASA Exceptional Scientific Achievement Medal for research on gamma-ray bursts (1993), the NASA Exceptional Achievement Medal for the Astro-2 Mission (1995), and the NASA Exceptional Achievement Medal for scientific leadership of GBM (2009). After retiring from NASA in 2009, he joined the Universities Space Research Association, followed by the University of Alabama in Huntsville, and continues to do GRB research as a member of the GBM science team. William S. (Bill) Paciesas is a Senior Scientist with the Universities Space Research Association Science and Technology Institute. During 2009-2014, he was the Principal Investigator for the Fermi Gamma-ray Burst Monitor (GBM). Paciesas was a GBM co-investigator from 2000 to 2008 and also served as the GBM Ground System Manager. From 1982 to 2002, he worked on the Burst and Transient Source Experiment (BATSE) on the Compton Gamma-Ray Observatory, first as Mission Operations Software Development Manager and, from 1994, as co-investigator. Paciesas also served as Research Professor of Physics (1994-2011) and Associate Director of the Center for Space Plasma and Aeronomic Research (2004-2011) at the University of Alabama in Huntsville (UAH). 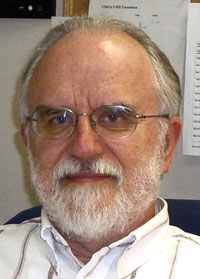 A member of the research faculty at UAH since 1982, Paciesas previously worked as a Research Associate in physics at the University of Maryland (1980–1982) and as a National Academy of Sciences/National Research Council Resident Research associate at NASA Goddard Space Flight Center (1978–1980). Paciesas received NASA Group Achievement Awards for the Spacelab 2 Nuclear Radiation Monitor, BATSE, the BATSE Occultation Analysis Team and the GRO Operations Working Group. He also received a NASA/GSFC Certificate of Appreciation for GBM Development and Testing. Paciesas was co-editor of the book Gamma-Ray Bursts, Huntsville 1991 (AIP Conference Proceedings No. 265) and has been author or co-author of more than 160 refereed publications and more than 370 non-refereed publications. He is a member of several professional organizations, including the American Astronomical Society, the American Physical Society, the American Association for the Advancement of Science, the Institute of Electrical and Electronics Engineers Nuclear and Plasma Sciences Society, and the International Astronomical Union. Paciesas holds a Ph. 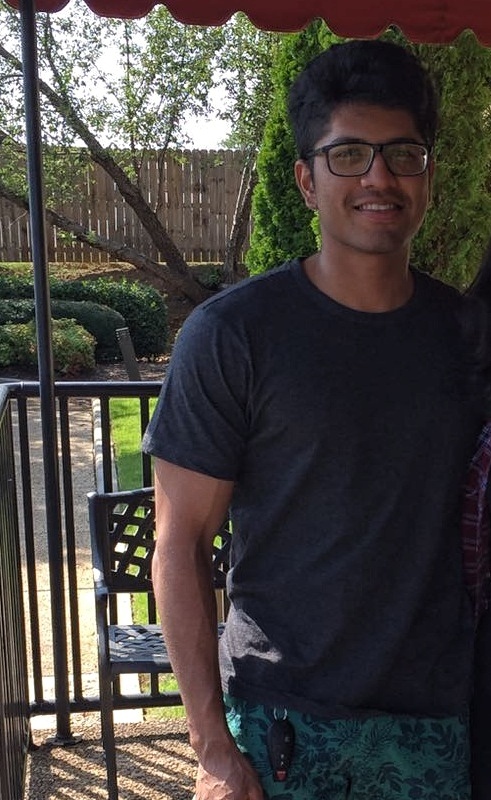 D. in physics from the University of California, San Diego, and received a B. S. in physics from Seton Hall University, South Orange, N.J.
Suraj Poolakkil graduated from Osmania University (India) in 2014 with a B.S in Physics. He is currently pursuing his Ph.D at UAH, working under Dr. Rob Preece. 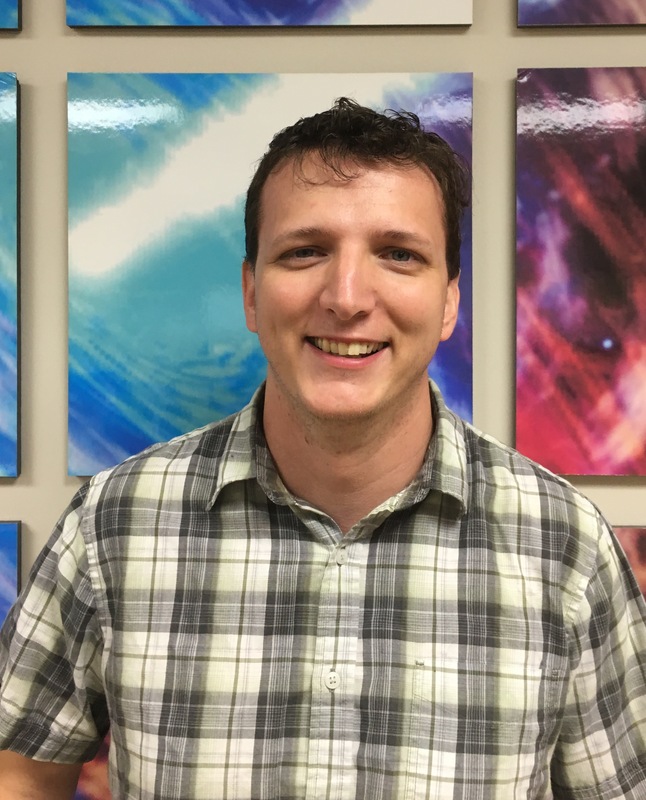 He has been a graduate research assistant with the Fermi GBM team at Huntsville since 2016, working primarily on gamma-ray burst spectroscopy. His other research interests include High-energy Astrophysics and General Relativity. Associate Professor Robert Preece is a world-class expert on gamma-ray spectroscopy; as a co-investigator for the Gamma-Ray Burst Monitor on NASA's Fermi Space Telescope, launched on June 11, 2008, he is uncovering the clues that will reveal for the first time the incredibly efficient mechanism that gamma-ray bursts use to harness the immense energies that are visible across half the universe. He received his B.A. in Math and Physics from the University of California at Berkeley in 1982, a M.Sc. in Physics from The Ohio State University in Columbus, Ohio, and a Ph.D. in Astrophysics in 1990 from the Physics Department of the University of Maryland in College Park. He then moved to Huntsville, Alabama, and joined the BATSE gamma-ray astronomy team at Marshall Space Flight Center as an NRC postdoc. 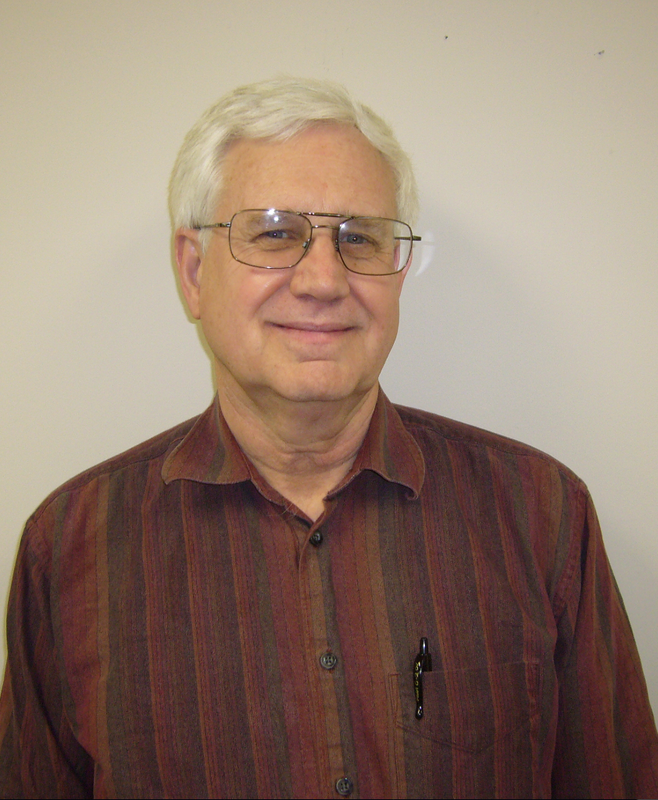 He started at UAH as a researcher in 1993. In 2013, he joined the faculty of the newly-formed Department of Space Science at UAH as a founding member. Matthew Stanbro graduated from the University of Alabama in Huntsville with a B.S. in 2012. He is continuing his studies in Physics as a graduate student at UAH while working with Fermi GBM. His primary research is on Terrestrial Electron Beams (TEBs), their classification, and Terrestrial Gamma-ray Flashes (TGFs). His other interests include Gamma-ray Burst (GRB) modeling and General Relativity. Peter Veres was born in Romania, he is an ethnic Hungarian. He got his masters at the Eotvos University in Budapest. He spent a year at University College Cork in Ireland, then finished his PhD in 2011 in Budapest. He was a postdoc at Pennsylvenia State University (2011-2013) and George Washington University (2014-2015). He has been working on gamma-ray bursts, modelling the prompt and afterglow emission. He is also interested in working on active galaxies. 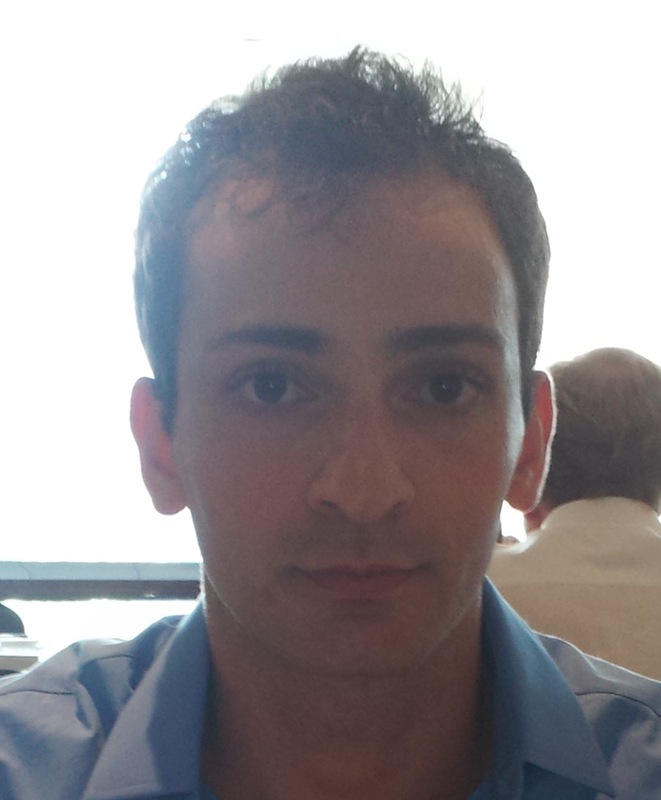 He joined the GBM team in Huntsville in June 2015 and is working closely with Drs. Michael Briggs and Valerie Connaughton. Gary Case graduated with a B.S. in Physics from Andrews University and then went on to get his M.S. and Ph.D. at the University of California, Riverside. His thesis work was in gamma-ray astronomy. In particularly, he used BATSE, OSSE, and EGRET to look at emission from supernova remnants (SNRs) and starburst galaxies; refined the distances to many SNRs to obtain a new Galactic SNR distribution; and used the SNR distribution as the input to the GALPROP cosmic ray propagation code to study the >100 MeV Galactic diffuse gamma-ray emission. He also worked on the Tracking and Imaging Gamma-Ray Experiment (TIGRE) balloon experiment designing and building the calorimeter. He then moved to Louisiana State University in 1998, working as a postdoc and then research scientist in the High Energy Astrophysics group. He spent 14 years working on cosmic ray and gamma-ray instrumentation, using the occultation technique with BATSE and GBM to monitor the gamma-ray sky, and developing ground-based instrumentation for detecting terrestrial gamma-ray flashes (TGFs). Instruments he designed and built have been tested at the CERN high-energy physics accelerator lab in Geneva, Switzerland and on high-altitude balloons in Antarctica. He helped develop the imaging technique that was applied to the BATSE earth occultation data, which he then helped adapt for use with GBM. Dr. Case started working with GBM before launch to adapt the earth occultation technique to GBM. Since launch, he has used GBM to study the astrophysical sources with emission detected above 100 keV, and in particular, Cygnus X-1. He initiated the discovery of the Crab Nebula variability with GBM, and is now the GBM representative on the International Astronomical Consortium for High Energy Calibration (IACHEC). This consortium is working on the standards for cross-calibrating instruments on the various past, present, and future x-ray and gamma-ray satellite missions, for which the Crab is one of the primary calibrators. 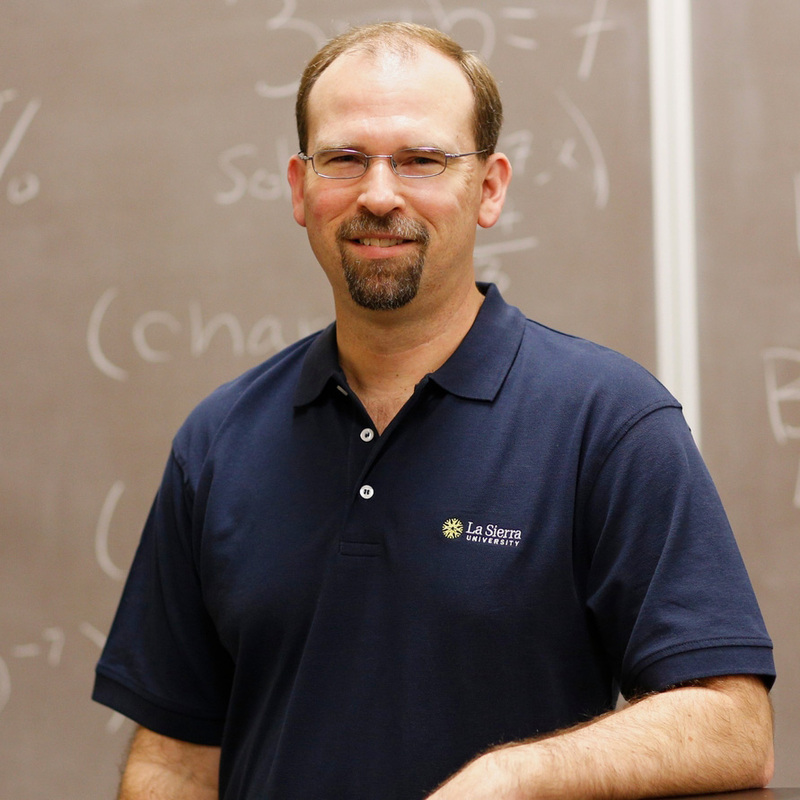 Currently, Dr. Case is an Associate Professor of Physics at La Sierra University, where he has been since 2012. Dr. Gerald J. (Jerry) Fishman is a Co-Investigator on GBM. In addition to gamma-ray bursts, his research interests include terrestrial gamma-ray flashes (TGFs) and other transient, high-energy sources. He is also interested space and nuclear instrumentation, background radiation in space, and ionospheric disturbances caused by transient high-energy sources. 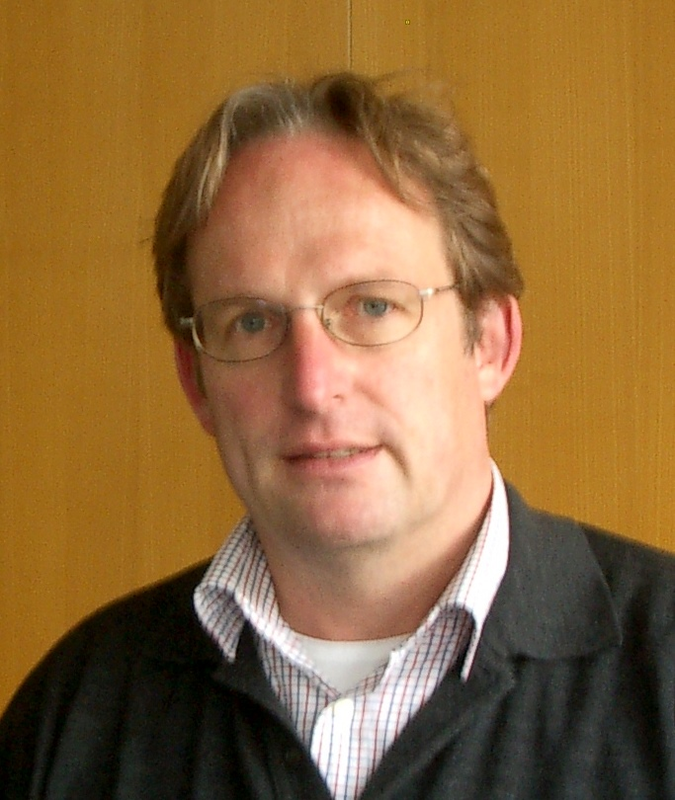 He was the Principal Investigator of the Burst and Transient Source Experiment (BATSE) on the Compton Gamma Ray Observatory from 1991 until 2002. This observatory was the second of NASA’s four Great Observatories in space. A native of St. Louis, he obtained a B.S. with Honors degree in Physics from the University of Missouri in 1965, and M.S. and Ph.D. degrees in Space Science from Rice University in 1968 and 1970, respectively. He has been a research astrophysicist at NASA-MSFC since 1974. Dr. Fishman was awarded the Bruno Rossi Prize of the High Energy Astrophysics Division of the American Astronomical Society in 1994 and he shared the Shaw Prize in Astronomy in 2011 “For leadership of space missions that enabled the demonstration of the cosmological origin of gamma-ray bursts, the brightest sources known in the Universe”. Chryssa Kouveliotou hails from Athens, Greece. 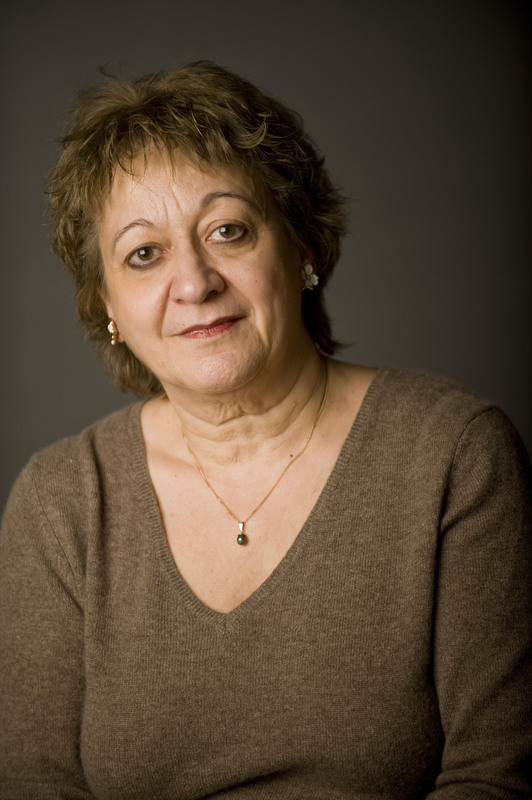 She received her Physics Diploma in 1975 from the U. of Athens (Greece), a Masters of Science in Astronomy in 1977 from the U. of Sussex (UK) and her Ph.D. in Astrophysics in 1981, from the Technical U. of Munich & Max Planck Inst. of Extraterrestrial Physics (Germany). She lived in Greece, UK, Germany, and the Netherlands before she settled in the States in 1991. Since 2004 she is an Astrophysicist at NASA's Marshall Space Flight Center. Previously she was an assistant Professor at the U. of Athens, Greece (resigned in 1994), a Visiting Scientist at NASA's Goddard Space Flight Center (1985-1987), an Associate Research Scientist (1991-1995), and the Director of the Huntsville Astronomy Program (1998-2000) of Universities Space Research Association (USRA), the Deputy Director of the Institute for Space Physics, Astronomy & Education (ISPAE; 1995-2000), a Visiting Professor at the U. of Amsterdam (Netherlands) in 2000, and an Intergovernmental Personnel Act (IPA) Employee at NASA's MSFC (2000-2004). 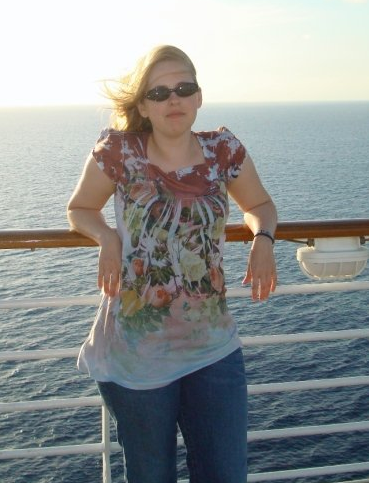 In 2013 she became the Senior Technologist of High Energy Astrophysics at MSFC. In February 2015 she moved to George Washington University as Professor of Physics. Dr. Kouveliotou has worked on several missions including the International Sun Earth Explorer-3 (ISEE-3) and the Solar Maximum Mission (SMM). She was a Co-Investigator of the Burst And Transient Source Experiment (BATSE) onboard the Compton Gamma-Ray Observatory (CGRO) at MSFC and she is currently a CoI of the Fermi/GBM, an affiliate member of Swift, and a member of the Science Team of NuSTAR. She is a Co-I of the Large Observatory For x-ray Timing (LOFT), an ESA mission currently under study and a of the ISS-Lobster submitted as a Mission of Opportunity to NASA. 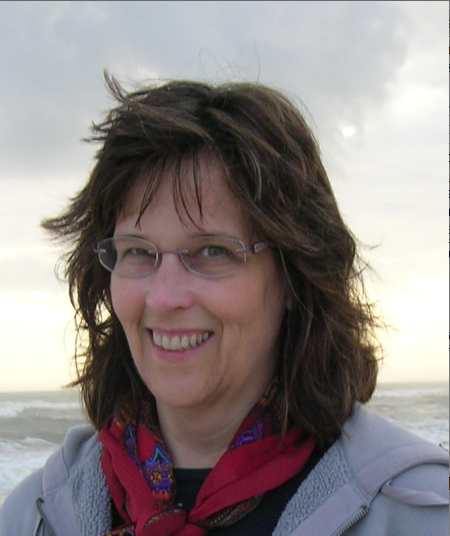 She led as a Principal Investigator a proposal for a Cosmology Probe, Xenia, to the Astro2010 decadal survey, bringing together 129 scientists from 52 international institutions. Dr. Kouveliotou is an APS and AAAS Fellow. She has won several awards: NASA Group Achievement Award, 1997; Descartes Prize, 2002; Rossi Prize, 2003, AAS; NASA Space Act Award, 2005; Dannie Heineman Prize, 2012, AIP/AAS; NASA Exceptional Service Medal, 2012. She is an External Board Member of the DARK Cosmology Center; a member of the VERITAS External Advisory Committee, the Vice-Chair of COSPAR Commission E, the Past Chair of the AAS High Energy Astrophysics Division (HEAD), a Board Member of the American Assn. of the Variable Star Observers and the USA/IUPAP liaison for Committee 19 (Astrophysics). She has served in the HEAD executive committee, as an AAS Councilor, the HEAD Chair, the APS Division of Astrophysics Chair, 2003, and as a member of the NAS Committee on Astronomy & Astrophysics.She is one of the 249 most-cited space researchers worldwide with 384 refereed publications (~ 35 in Nature), ~26000 citations, and Hirsh-index = 75. She has co-edited 3 books; the most recent "Gamma-Ray Bursts" (Cambridge University Press) appeared in 2012. Judith (Judy) Racusin is an astrophysicist at NASA’s Goddard Space Flight Center and serves as one of the Deputy Project Scientists for the Fermi Gamma-ray Space Telescope. She has been at Goddard since completing her Ph.D. from Pennsylvania State University in 2009. She also received her B.S. in Astronomy and Astrophysics from the University of Michigan in 2003. Judy studies Gamma-ray Bursts (GRBs) with both the Fermi Gamma-ray Burst Monitor (GBM) and the Large Area Telescope (LAT), as well as the Neil Gehrels Swift Observatory. She is especially interested in the extremely energetic GRBs detected in the high-energy gamma-ray band with the LAT, and also what can be learned by probing short GRBs with gravitational waves and light together. Judy is involved with a variety of missions and mission concepts in development to detect GRBs and other transients in the X-ray and gamma-ray bands. These missions range in scale from CubeSats to Probes, and everything in between. Dr. Younes earned his undergraduate in Physics in 2007 at the Lebanese University, Beirut Lebanon. At that time, no university in Lebanon was offering a masters program in Astronomy, Astrophysics or any related discipline. He moved to Strasbourg France for the graduate school and earned in 2008 his Masters in Astrophysics From Strasbourg University. His dissertation, under the supervision of Dr. Laurence Boirin, was to study the effect of extreme gravity on matter in Low Mass X-ray Binaries, i.e., two star system with one being a compact object (either a Neutron Star or a Black hole) sucking matter from the other ordinary star. Dr. Younes earned a scholarship from the French government to pursue a PhD in the High Energy Group at the Astronomical Observatory of Strasbourg, France. He worked under the supervision of Dr. Delphine Porquet, studying, once again, the effect of extreme gravity on matter, this time around super massive black holes (SMBH, black holes with masses a million to billion times the mass of the sun) residing at the center of most, if not all, galaxies. He earned his PhD in Astrophysics in September 2011. In November 2011, he started his first post-doctoral position to work with Dr. Chryssa Kouveliotou, as part of the Fermi Gamma-ray Space Telescope Gamma-ray Burst Monitor (GBM) team, on very exotic compact objects called Magnetars; i.e. isolated neutron stars with magnetic fields of the order of a quadrillion Gauss (10^15 G, that is trillions of times stronger than Earth's magnetic field). In February 2015 he moved to George Washington University.